On Saturday, February 9, 2019 WVU Medicine Children’s hosted their annual fundraising gala, and while The Stick Company has been a supporter of this event for over 11 years, but this year, we were especially honored as our own Owner and President, Damian Ferek was recognized and awarded the 2019 Community Service Award. The hospital’s recognition video was played for the evening’s event attendees and featured a short overview of our team’s contributions to WVU Medicine Children’s. The Stick Company was honored to have long-time friend and supporter, Cheryl Jones, Chief Nursing Officer of WVU Medicine Children’s, say a few words on our team’s behalf, as part of the award presentation. Following the video, Damian was present to take the podium so that he could deliver some words of appreciation, as well. For those that might not be aware, The Stick Company has partnered with WVU Medicine Children’s from our inaugural year when we quickly became involved with the annual Gala. From there, our team has helped support a number of campaigns and initiatives over the years, as well as helped launch a few of our own alongside our sister company, Stick Tattoo. Campaigns include Tats For Tots, Rockin’ Toy Drive, and the recent Ride For Kids WV. 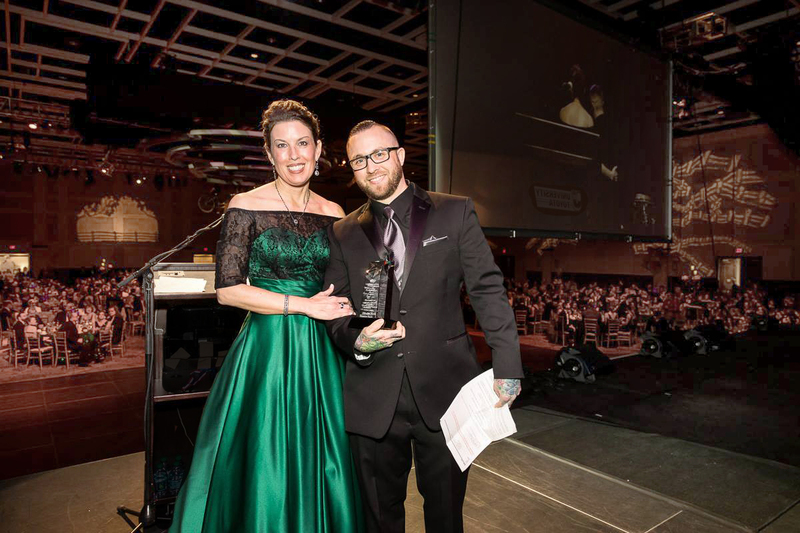 In 2015, Damian, along with VP Kim Johnson, volunteered to co-chair the Annual Gala, as well. We at The Stick Company were honored and humbled to have received this recognition, and appreciate the continued support of all of our friends and family and the Morgantown community. A special thanks to all of the team at WVU Medicine Children’s for, not only the recognition, but for the continued dedication, services and care you continue to provide the region.